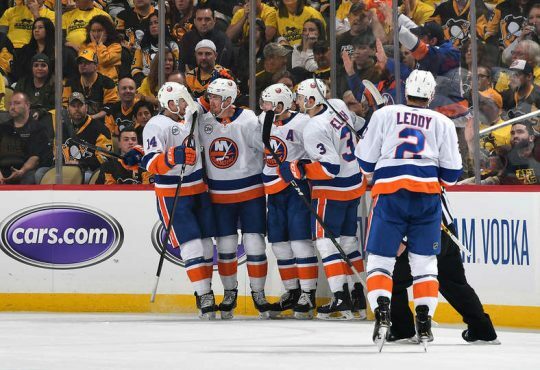 With a playoff spot locked up, two things still remain of utmost importance for the New York Islanders: home ice and a division title. It’s been 31 years since the Isles could claim both those achievements. Winning tonight in Florida, and getting some help on the scoreboard, can make those both a reality heading into Saturday night’s final tilt in our nation’s capital. For how remarkable this season has turned out to be, it’s only right that the drama will go right down to game 82. 1. Jordan Eberle on fire. There’s no forward more on right now for the Isles than Eberle. The soon to be UFA has five goals in his last five games and is one goal shy of his six straight 20-goal season; he’s totaled six points in those five games as well. For all his struggles this year, Eberle showing confidence and scoring consistently couldn’t have come at a more perfect time for the team. Eberle is being rewarded for his hard work and shooters mentality. 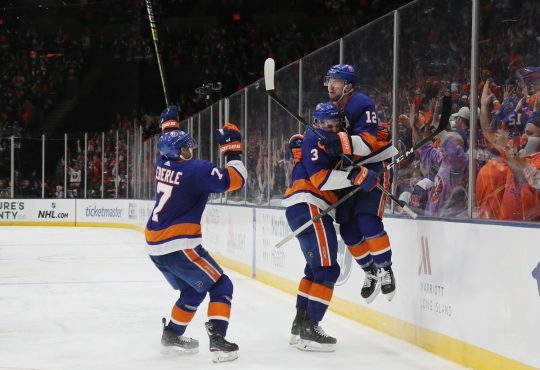 He and Mathew Barzal are showing that chemistry that they had all of the second half of last season that made them one of the best duos in the league. 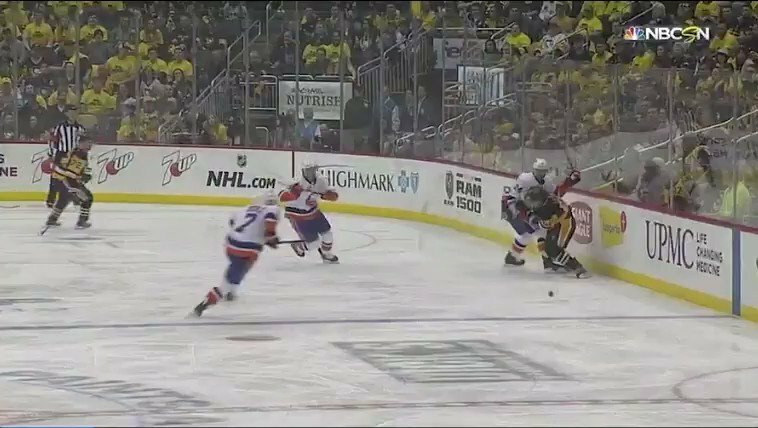 The Isles are going to need this version of Eberle as the playoffs get underway next week. He’s now a key factor in the attack. And one other thing to note, Eberle shouldn’t need much motivation as the playoffs start one week from yesterday or today. His only performance in the postseason in Edmonton resulted in more of a whimper than a bang. No doubt Eberle will be looking to redeem himself and help the Isles make a deep run. 2. Leo Komarov’s value went underappreciated this season. I know, 25 points don’t provide much of an argument. But considering how Komarov earned those points and all the other intangibles he’s brought to this Islander club, his impact can’t be denied. No one will ever be happy with the contract — another three years at $4 million — even yours truly. It’s clear though Komarov works extremely hard and deserves his ice time. Komarov’s position in the bottom-six stabilized a huge missing part of what the Isles were lacking last year (He notched more points than any Islander bottom-six forward from a year ago). Uncle Leo’s veteran leadership and excellent penalty killing can’t go unnoticed. Komarov was signed for those two qualities and has without question repaid the favor to g.m. Lou Lamoriello. 3. Anthony Beauvillier could be the X-factor in the playoffs. This regular season might have been a forgettable one for the 21-year old, even with a potential second consecutive 20-goal season. Thus, Beauvillier’s inconsistent campaign could all be left in the dust if he elevates his game in the postseason. Next week will mark the first taste of the postseason for the third-year pro, and you can bet there will be that nervous excitement for him among many others. On an Islander squad, particularly this year that’s calling card is more will then skill, Beauvillier is someone that could really be important if the team wants to make some noise. He scored two goals in Saturday’s clincher and has three points in his last three games; So maybe he’s also on the verge of getting hot. 4. Despite a point drop off, it was still a successful season for Mathew Barzal. His first All-Star appearance. Another 60-plus point season. A pivotal role in helping the organization move on from John Tavares and get them back to the postseason. Those were just three huge things Barzal did in his sophomore campaign. 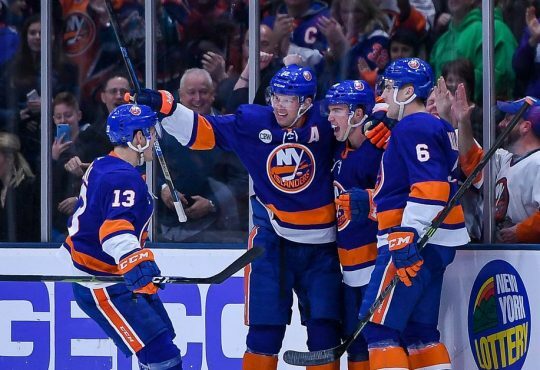 From the moment Tavares left, the small blip of optimism left for the franchise fell squarely on Barzal’s shoulders. Not to say the reigning Calder winner took that notion to heart, but how he carried the team at times this season proved differently. The second half slog after he returned from the All-Star break stunk to watch, but Barzal still produced at a solid rate all year. 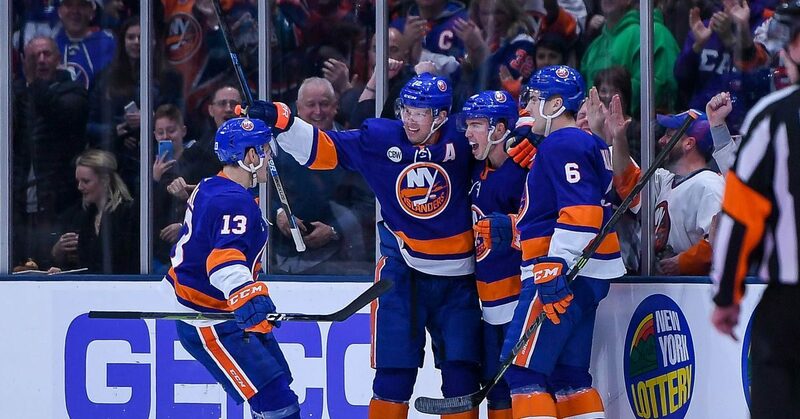 And, when the Isles needed him the most — scoring a hat trick in Toronto, his outstanding performances in overtime, the classic taking over of the game last Thursday in Winnipeg, just to name a few — he was right there and led the way. Barzal will now have his chance to shine in the postseason. We saw it all year, the bigger the stage, the bigger he played. That itself should have Isles fans giddy to see what he has in store. The Islanders are going to finish this season in the bottom ten in both goals as a team and goals for per game. 2. It would be a hell of a way for him to set the bar even higher for his first postseason appearance since game five against Washington in 2015. 6. Ryan Pulock’s performance last Thursday sums up his second half. Is there anything better than to see a kid in front of his hometown crowd goes balls to the wall to help his team win in a big spot? Welp, that’s exactly what Pulock did in his native Manitoba a week ago. Pulock recorded three assists and helped the Islanders complete its 5-4 comeback victory. But that game just symbolized what a fantastic post-All-Star break it’s been for the 24-year old. Defensively, Pulock has emerged as the next premier defensemen. He’s playing big minutes and has shown he can defend the best the NHL can offer. Offensively, he regained the confidence in his booming shot and scored some big goals in the last two months. 7. The team needs to be better in the faceoff circle. One of the glaring mistakes that came out of Monday’s loss to the Leafs was the Isles inefficiency in the circle. Whenever they needed a big faceoff win, they didn’t get them; That did them no favors either when trying to establish zone time both at even strength and on the power play. According to puckbase.com, the Islanders are one of the worst teams at converting on draws. Not the thing you want to see as you enter the postseason. Faceoffs are extremely crucial to being successful in the playoffs. Barry Trotz needs to hammer that into his group in the team’s preparation. 8. Robin Lehner was the poster boy of what represented the Islanders this season. How ironic must it be that a team and a player are given no chance to succeed and shove it down all the naysayers throat? Well, it was done by both Lehner and his respective club. Lehner is a mirror image of how far the Isles have come in such a short time. 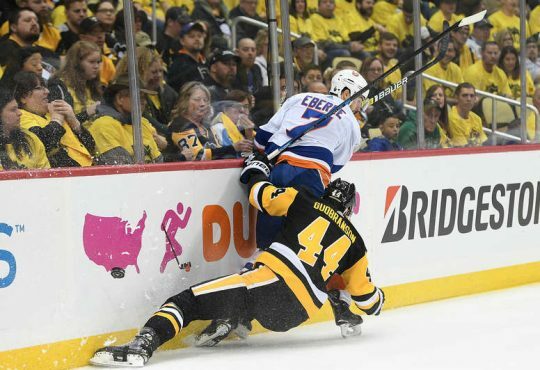 He overcame addiction and mental health issues to help the Islanders return to the postseason and is well on his way to a share of the William Jennings Trophy with Thomas Greiss and most likely the Masterton Trophy. His team, left basically in ruins after its former captain left on July 1, hunkered down and kept its nose to the grindstone and have now rebounded in a way no one could have imagined. Lehner’s comeback story and the Isles ascension back to relevancy were one and the same. Depending on the outcome of the playoffs, the story might be nowhere close to ending. 9. Devon Toews’ arrival changed the season. The Islanders were playing well by mid-December, but they had yet to hit their stride. Insert Devon Toews, the rest is gravy. From the moment he hit the ice on December 23rd in Dallas, the Isles became a different team. Toews’ combination of skill and speed added another dynamic to the defensive corps. We saw the flashes and the hype that Toews heralded in recent years; We also saw how well he matched with his former d-partner in Bridgeport, Scott Mayfield. To be frank, it’s really just the beginning for the 25-year old. Toews could finish with 20 points in less than 50 games if he can get three points in the final two contests. He’ll also play a key role if the Islanders win a round or two. Talk about making yourself known for the future. 10. Who gets the nod in goal in game one? This one will be debated every day until the Isles suit up next Wednesday or Thursday. 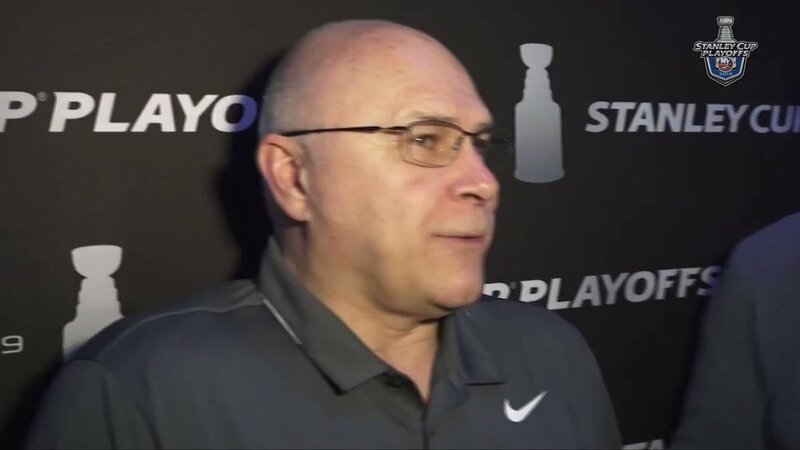 Even Barry Trotz said he has an idea of who he’s going to go with but won’t reveal his hand. There’s no argument needed that Lehner and Greiss have each earned the chance to start game one at Nassau Coliseum, in Pittsburgh, or Carolina. The deciding factor, in my opinion, could be the experience of the two. Greiss has more postseason games played then Lehner; Lehner was sensational for three-quarters of the regular season. One of them is going to get the call. Regardless of who does, Isles fans should be confident that they can both replicate their performances. *This Isles team has playoff experience, more than people think. If Valtteri Filppula is ready for game one, the Islanders will have a player with 158 playoff games under his belt. Filppula is just one of several key players that don’t make this Isles club so-called “new” to the postseason. Johnny Boychuk has played 97 postseason games; Nick Leddy 72; Josh Bailey 22 and Leo Komarov 15. So while this might be different for Barzal, Beauvillier, Toews, Pelech and a few others, there are players on this team that know what it takes to win in the second season. *They have nothing to lose. No one expected the Islanders to do anything this season other than being a bottom-feeder. Now they’re in the playoffs and can play loose — not too loose — and free. The postseason is a crap shoot, who knows what the Isles are capable of? But just remember this, anything the Isles do in the playoffs, it’s just another nod to where the direction of the franchise is heading.